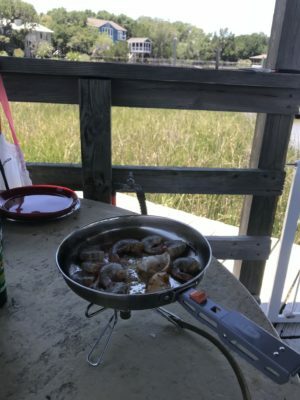 Fry pan set up on dock on the marsh and creek. I was able to test out the GSI Stainless Camper in a different setting than I am used to. A trip to the South Carolina coast offered the chance to fry up a little bit of fresh caught seafood. This cook and eating set has been a blast to test and I have some final thoughts that you can check out by clicking here. 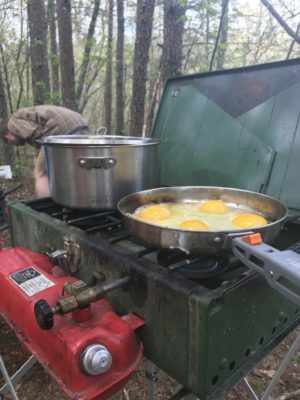 Eggs and hot water for coffee on the stove. I have been able to use the GSI Glacier Stainless Camper a couple of times since my initial review. I’ve used it to prepare and eat multiple meals (breakfast and supper). Click here to read my initial update and thoughts on the cook set. Glacier National Park in Montana is celebrating its Centennial year in 2010 and the summer season will certainly packed with the park’s nearly 2 million annual visitors. Few visitors enjoy the crowding and noise levels in wilderness areas during the peak season. 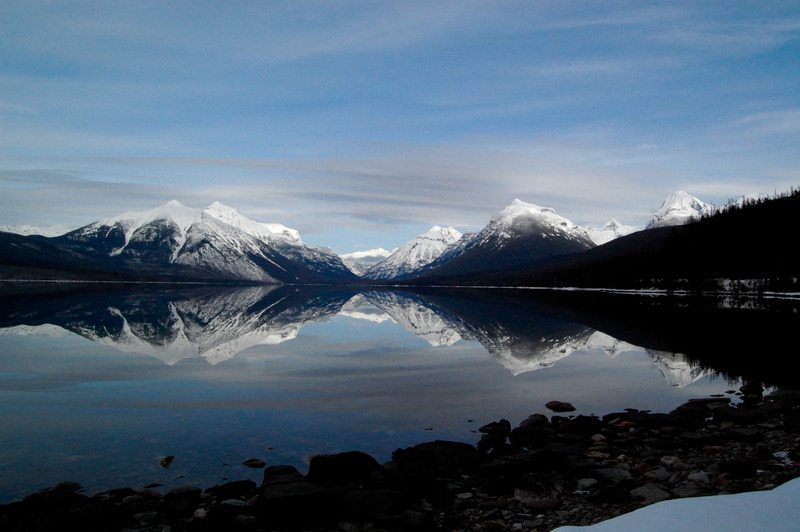 The best time to get out and experience Glacier Natl. Park is during the off-season when there are no crowds, and you’re unlikely to see more than a dozen people at any given time while on the trails. Glacier Natl. Park is more than one million acres, and with nearly 800 miles of trail, deciding what landmarks to see can be a daunting task. This is where the Glacier Outdoor Center comes in. The Glacier Outdoor Center has been operating in and around Glacier Natl. Park since 1976 and is celebrating their 35th anniversary in 2010 along-side the park’s Centennial. Read the rest of the article here!